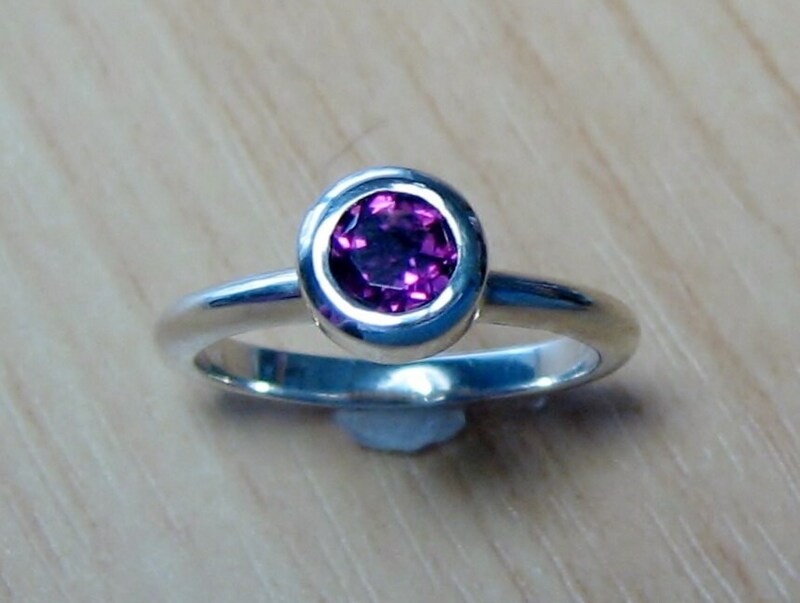 Beautiful 4.1 mm round faceted genuine Pink Tourmaline Gemstone bezel set in 14K White Gold with a high polish. 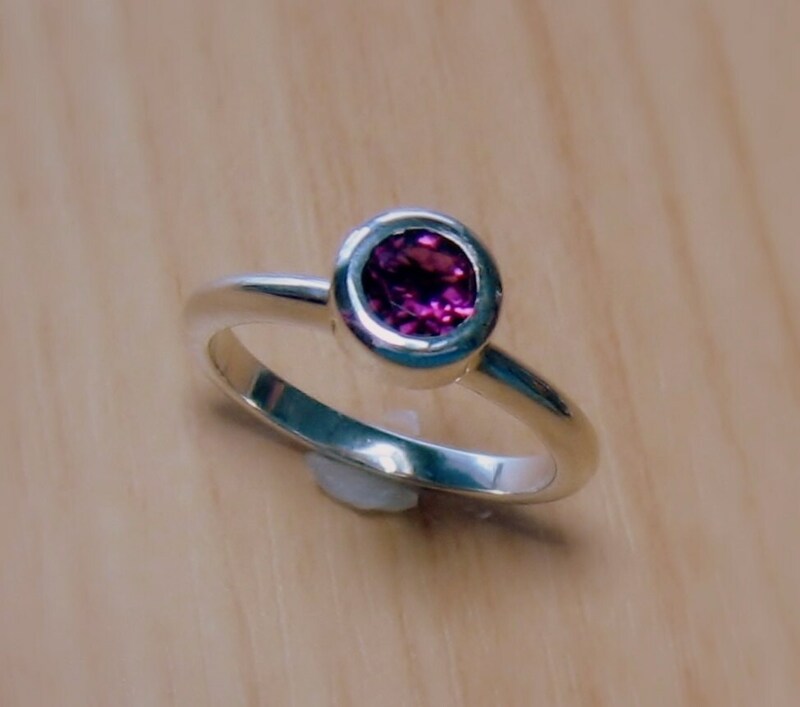 This ring would make a beautiful modern alternative to the traditional engagement/promise ring. 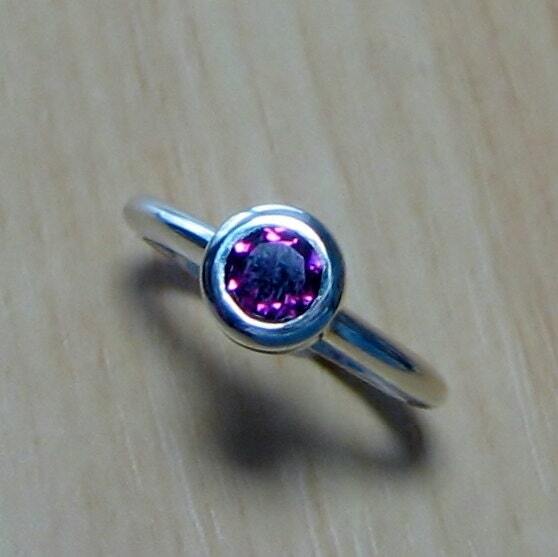 Tourmaline is also October's Birthstone. 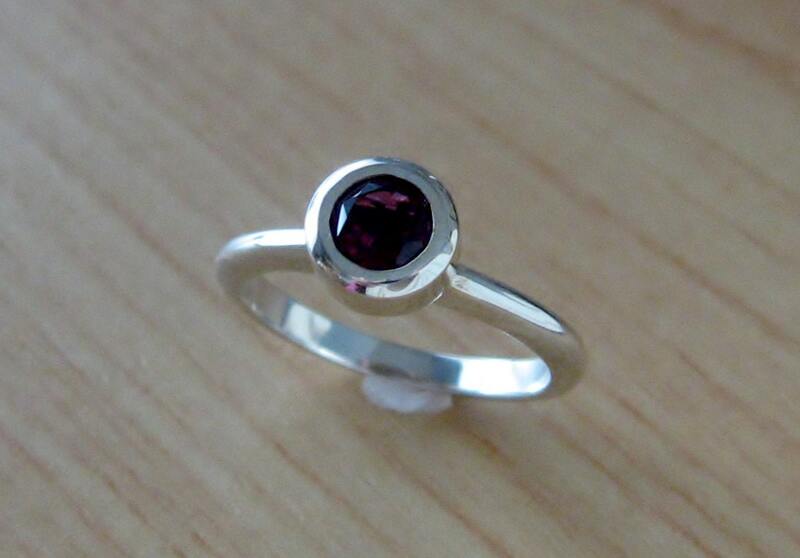 This ring will be custom made to your specifications ~ simply select your size and metal at checkout. Complimentary Shipping within the US.